We have a soft spot for buffets. Large assortments of food from around the world lets us try items that we would never order. High end buffets with everything from Prime Rib to Lobster to Foie Gras to Souffles are always on our hit list. 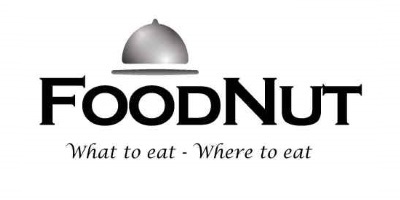 Foodnut values quality in addition to quantity, so forget about Hometown Buffet or Golden Corral. Buffets originated in France, where French hosts would set up tables full of food so diners could help themselves during parties. This concept grew and was super sized in Las Vegas. Here is our Best Buffet in the World List – a work in progress..
For some reason, Singapore is a country full of buffets. Surprisingly there are a ton of high end as well as mid range buffets. We looks through a ton of reviews and hit it out of the ballpark at the Ritz Carlton Singapore. Let’s see what $132 gets you. Unlimited Moet Chandon Champagne (two types), wine, and cocktails, foie gras, 6 kinds of oysters, a ton of raw seafood, high quality sushi and sashimi, ridiculous spread of cheese and dessert. People were in food comas by the early afternoon. No wonder Crazy Rich Asians was filmed in Singapore! This US$100+ buffet wowed us with the usual great sushi, meats, seafood, but the awesome house made pasta kicked it over the top. This restaurant is normally a high end Italian place. Conrad also has a menu allowing you to select from 8 entree’s off the menu! Kid’s will love their own section. Haven’t heard of Macau? Get with the program, Macau is China’s Las Vegas but with 10 times the gambling industry. They have built massive new complexes with buffets that now surpass Vegas. 100lb massive Wagyu roast, foie gras, roasted turkey infused with truffle, Bourbon whisky glazed ham, unlimited Veuve Clicquot Champagne, white wine, red wine and draft beer for 2 hours. Sound good? Hong Kong has had a long standing battle over the best buffet between several large hotels. The Intercontinental Harbourside buffet has been packing them in for many years. Dim sum, tons of seafood, sashimi, Indian dishes, pizza, robata grill, Foie Gras, Haagen Dazs ice cream, and made-to-order souffles, crepes, and waffles. Holy cow. Over US$100 buys you a lot. Foodnut loves dim sim and traditional Cantonese food in Hong Kong, but the buffets retain a special place in our heart. Foie gras check, Three kinds of caviar, 5J Iberico Belota ham, cooked to order excellent risotto, 2 kinds, unlimited champagne and wine, check, dinner, forget about a diet. Under $60 buys you a ton of food. 500 items every day, 300 items at dinner means variety. This is the best Vegas can do. Lots of entrees, salads, dessert and more. No extravagant stuff like you get outside the US. Honorable mention goes to the Wicked Spoon Buffet at the Cosmopolitan and Bellagio Buffet. Have a favorite buffet? Let us know by commenting below! Interesting choice indeed. It’s what most us can afford. A plus made in the good old USA. Seafood buffet at Hotel Nikko in Saigon?